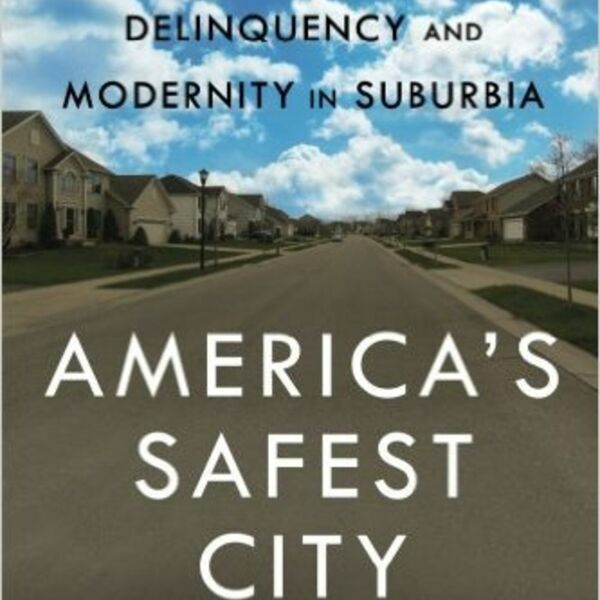 Winner of the American Society of Criminology 2015 Michael J. Hindelang Book Award for the Most Outstanding Contribution to Research in Criminology Since the mid-1990s, the fast-growing suburb of Amherst, NY has been voted by numerous publications as one of the safest places to live in America. Yet, like many of America’s seemingly idyllic suburbs, Amherst is by no means without crime—especially when it comes to adolescents. In America’s Safest City, noted juvenile justice scholar Simon I. Singer uses the types of delinquency seen in Amherst as a case study illuminating the roots of juvenile offending and deviance in modern society. If we are to understand delinquency, Singer argues, we must understand it not just in impoverished areas, but in affluent ones as well. Drawing on ethnographic work, interviews with troubled youth, parents and service providers, and extensive surveys of teenage residents in Amherst, the book illustrates how a suburban environment is able to provide its youth with opportunities to avoid frequent delinquencies. Singer compares the most delinquent teens he surveys with the least delinquent, analyzing the circumstances that did or did not lead them to deviance and the ways in which they confront their personal difficulties, societal discontents, and serious troubles. Adolescents, parents, teachers, coaches and officials, he concludes, are able in this suburban setting to recognize teens’ need for ongoing sources of trust, empathy, and identity in a multitude of social settings, allowing them to become what Singer terms ‘relationally modern’ individuals better equipped to deal with the trials and tribulations of modern life. A unique and comprehensive study, America’s Safest City is a major new addition to scholarship on juveniles and crime in America.